i love the panorama option on my phone. i love it to bits. it is able to capture landscapes heaps better than my 35mm lens ever can, and this was perfect for the beautiful scenery in queenstown! yes!!!!! i just went to queenstown!!!!!!!! i went for four days and four nights, similar to last year's trip! 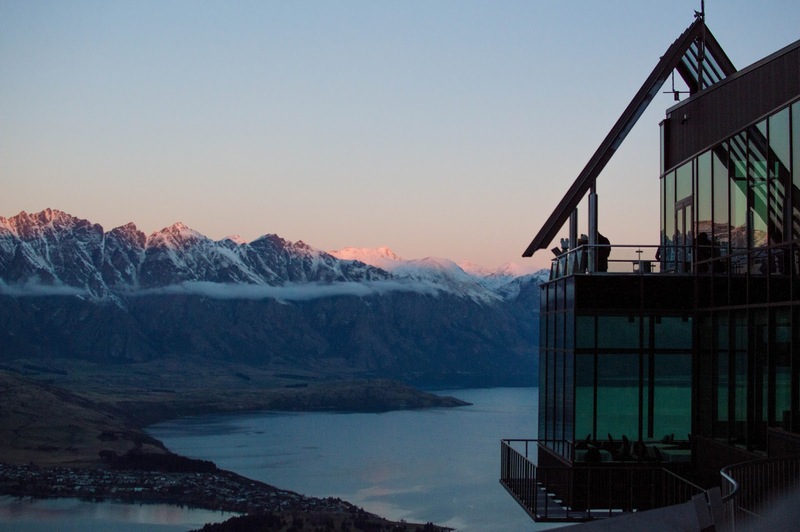 this post is an overview of my stay in queenstown 2015 vs. 2014, in my favourite form of writing: lists. milford sound // i did a separate blog post on this, because this was a bucket list activity!!! you can read all about my experience and see a little bit of milford sounds yourself here. snowboarding on remarkables peak // i was so doubtful that i would enjoy snowboarding, because of my past experiences at snowplanet and falling on my bottom every single time i tried to snowboard. but we paid for a lesson, got the basics sorted and it was such a fun day!!! horse riding in glenorchy // on one of the lord of rings tracks!!! this was my first time horse riding, and even though it was super scary and minus the fact that my horse had a freak out and bolted away in the middle of the walk, it was amazing. gondola + luge // views are so flippin' amazing from the top of the mountain!!! when i went on my three luge rides, it was my first ever day in queenstown, and i simply wasn't prepared for the cold! all i wanted was for the rides to be over because my hands were turning many different shades of blue and i struggled to turn my little kart. the view from the top was worth the experience though. i took one of my favourite photos ever from the top of the luge! parasailing // this was so so so cool. i remember feeling butterflies on the boat before doing this, but it wasn't as scary as i thought!!! the views on lake wakatipu were amazing and i didn't want to come down!!!! i also tried vlogging this experience because i just couldn't bring my huge camera up there and didn't want to chance it with my phone... needless to say, the videos will most likely be private and for my memories only. it feels so awkward talking to a camera!!! arrowtown // we went here on the second day but merely passed through to get to lake wanaka. on our last full day, we went to the museum here to read all about the history behind arrowtown and tried our luck at gold panning. we failed, so we bought a jar of gold flakes each from a souvenir shop. lake wanaka // lake wanaka is so peaceful!!!! i found some really pretty rocks (don't laugh at me) and brought them back home as souvenirs hehe. the mountain scenery around here is also gorgeous!!! puzzling world // we did both attractions: the great maze and the illusion rooms for $20. we tried to do the hard challenge for the maze, but we all got confused and got pretty tired a few minutes in (okay, maybe that was just me). the illusion rooms had really interesting illusions: from paintings, to knitted quilts, to statues, to huge art installations. definitely worth the visit. gibbston valley wine tour // i don't even like wine!!!!! what??! it was pretty interesting to see how wine is made and to learn the differences between two types of pinot grie, riesling and pinot noir. i am a complete wine noob, and i didn't even know that pinot noir is red and not white! pretty cool experience though and i also went home with a bottle of pinot noir for my parents. escape quest // this is the you-are-locked-in-a-room-and-have-sixty-minutes-to-try-get-out activity. our team of four versus another team of four. this was our first time doing something like this, and it took us a little bit over an hour to solve the case! oops. fortunately the other team didn't finish in half an hour like we thought they would, but finished the same time as us! it was a tie!!!!! we're not stupid and the case was just hard!!!! food // we also ate heaps and heaps and heaps! fergburger, fergbaker, prime, madam woo, thai siam, vudu cafe, wakatipu grill... 80% of our money went towards food. no regrets. i hope this gave you a little insight into the beauty of queenstown, and the many activities you can do on a trip there! i've been twice and i would probably still go again! 1 comment on "QUEENSTOWN 2015: AN OVERVIEW"
I'm terrible at taking panorama shots on my phone, yours are great though! Sounds like you had an amazing time though. Arrowtown is so great and I love parasailing - I've only done it in Taupo, but think it would be amazing to do in Queenstown. You can't go as high but the views would be stunning! I have never done an Escape Quest but it sounds so fun!